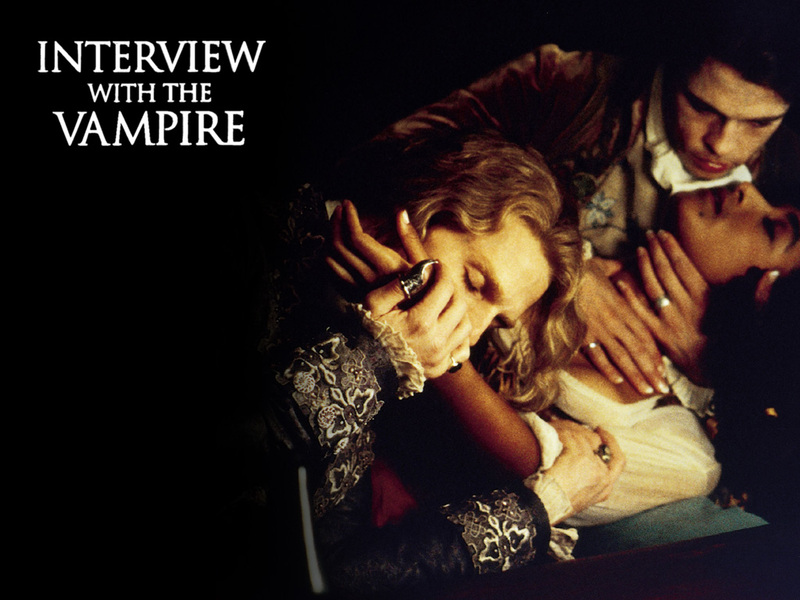 Let me start by saying I loved Interview with the Vampire (both the book and the movie). I think Anne Rice told a great story and gave us an interesting twist to the vampire mythology. Lestat is a great character. Louis is genuinely interesting as a vampire who hates what he has become, especially considering this was first published back in 1976. She didn’t invent the idea of a vampire who is regretful and sympathetic, but she almost certainly brought the concept to mainstream audiences. Back when she wrote that book, vampires were generally seen as monsters to be hunted down. The trouble came when Interview with the Vampire was became a huge hit. It’s much like Night of the Living Dead. It was a movie that wowed audiences. It was creepy in tone and had a genuinely good story. It was so good, in fact, that it spawned an entire genre of films… and now, several decades later, we have movies about hillbilly zombies on the moon. That’s the curse of having a successful story. It gets copied, and those copies are rarely as good as the original. As the genre grows, the quality always seems to diminish. And really… that’s perfectly fine. Sometimes the bad rip-offs are incredibly fun. They don’t make the good movies go away… they just accompany them. With Anne Rice, however, it was a little different. She didn’t spawn a new genre. She redefined a character type to mainstream audiences. While it’s not her fault at all, the result is that we now have a new popular view of what a vampire is supposed to be. And it’s a view I’m not particularly fond of. Louis was a great character because he was a freak. He was the only vampire that hated being a vampire. Every other vampire in that first novel loved it, even Claudia. Now, it seems like most modern vampire stories have to have a troubled vampire protagonist that’s a “good guy.” This good vampire has become the norm instead of the exception. The pinnacle of this progression is Edward Cullen. Let’s think about this… Edward has unlimited strength, he never dies, and he never harms a human being… and yet, he’s always upset about his “horrible” condition. The worst thing Edward has to live with is the fact that he can’t just give in to his every craving. Well, guess what? We all have to deal with that, but we don’t get to be immortal super heroes. I don’t know about you folks, but I’m ready to see old fashioned monstrous vampires come back to the forefront. There are some great movies – old and new – where vampires are still monsters. You just have to weed through an ocean of “pity me” vamps to find them. With that in mind, in my next article, I’ll be giving a list of vampire movies that still have some bite. If you have any you’d like to see added to that list, feel free to suggest them in the comment section of this blog. Author’s note: I don’t think there was actually a movie about hillbilly zombies on the moon, but now I kind of want to see one.